You don’t have to chose with this T-Shirt, you can be a Unimaid or a Mercorn with one shirt. For those that love them both, you can imagine swimming below the ocean or running free through life. 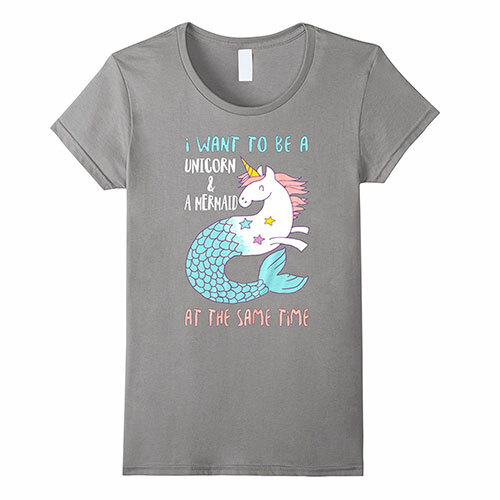 These comfortable T-Shirts show your love for both the Mystical Mermaid and the Magical Unicorn.